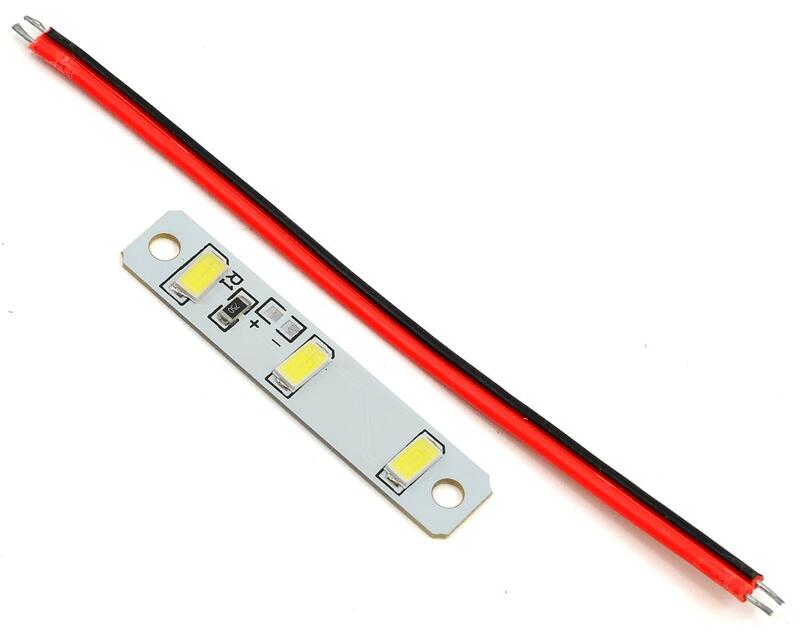 This is a RaceTek LED Light Strip, in White color. This strip features three LED's on a 4.5cm (1.8") long board. This strip also includes wire leads that are roughly 9.5cm (3.7") long. These LED lights are really bright & easy to install. I would recommend hot gluing the wire connections once they are soldered in place. I had one fail because too much stress was placed on the connection; my own fault. 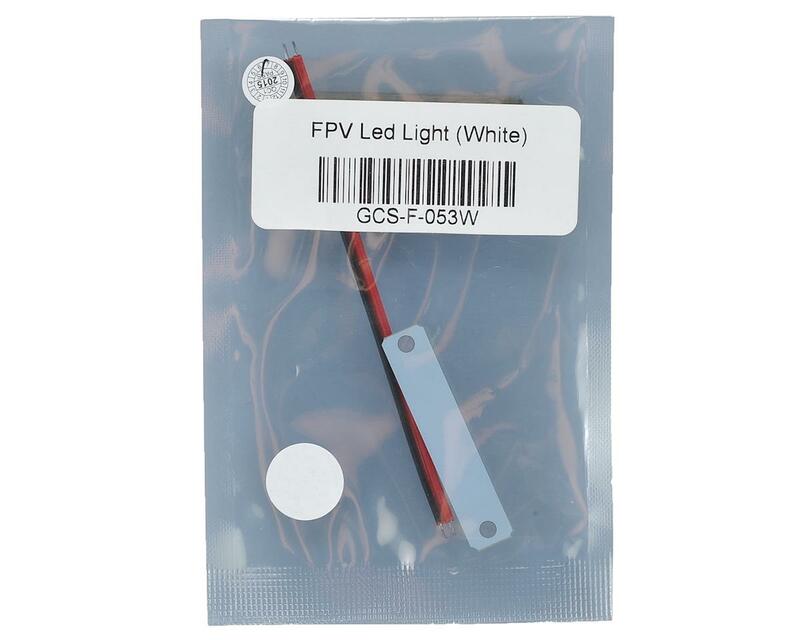 I bought two red ones for the back arms of my 450 mm quad & two white one for the front. This configuration makes trying to figure out the orientation of the quad in-flight much easier. I'm not sure if installing these makes twilight flight legal, but the quad is visible for an impressive distance in the early evening.